Win One of the First Two Tickets to E11 2014! Join us! We’ve re-thought the format of our quarterly BOD community meetings. Going forward – more social & less meeting sounds like just the ticket! You’ll still hear about relevant information, albeit a little differently. BOD elections – help us congratulate our new electees! Elemental Stars & Instrumental Founding Community Members – recognition & appreciation – huge thank you’s all around! Vote! – That’s right – you attend, you get to vote to narrow down our 22 submissions for the 2014 Element 11 Theme to the top 10 that will go out for the community vote. Win! 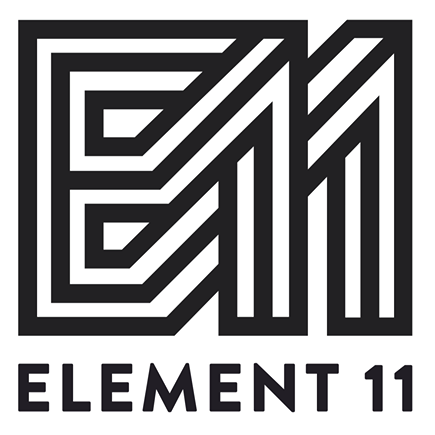 – To make this event even more awesome, every participant at the event will receive a complimentary entry into a drawing for a ticket to Element 11 2014! We’ll also have hors d’oeuvres, soft drinks, and DJ sounds by Eben Flow. You’re welcome to bring a beverage of your choice. Champagne, perhaps, for the celebrations & appreciations?